Meatballs cooked in sauce can be tender and moist. 4 How Can I Counteract the Sourness of a Sauce? Home-cooked meatballs can sometimes be dry and crumbly, causing them to fall apart during and after cooking. Make sure to add a few ingredients to your meatballs as you make them to make the final product moist and juicy. Slowly braising the meatballs in sauce can help keep the meatballs tender and moist, especially when compared to baking or sauteing meatballs, since the meat is surrounded by liquid. Drizzle a little bit of water into your meatball mixture before shaping meatballs to add in extra moisture. Add extra water instead of using a higher-fat meat when cooking meatballs in sauce to keep your sauce from being greasy and unhealthy. Mix milk and egg into your meatball mix to add moisture that will help keep meatballs whole while cooking in sauce. Soak breadcrumbs, if you're using them, in milk or water before adding them to your meatball mixture. Form meatballs that are about the size of golf balls. Avoid making meatballs that are too large, which can cause the outside of the meatballs to overcook and become dry when simmering in your sauce. Pan-fry meatballs in a skillet with a small amount of a healthy oil, such as olive oil, before cooking them in sauce to sear the outside of the meatballs and keep them moist during cooking. Braise meatballs in enough hot tomato sauce to keep them covered. Taste the meatballs every 30 minutes to check for flavor and doneness. Keep cooking the meatballs until they are tender. 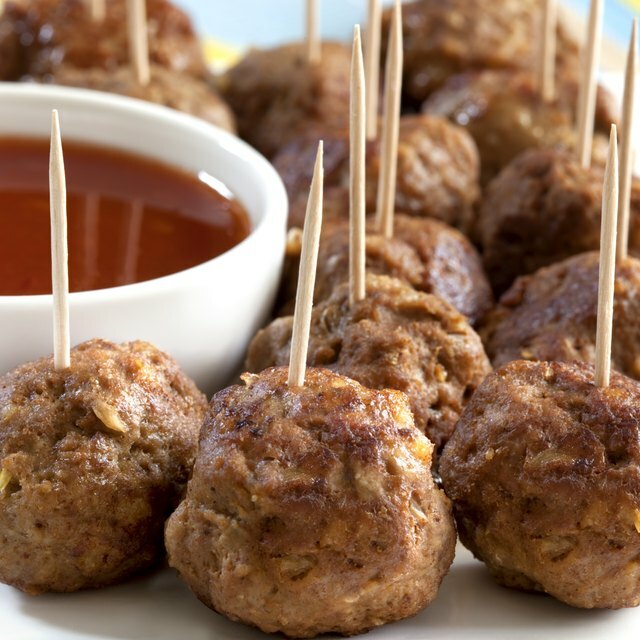 Swap ground lean turkey or chicken for higher fat meats, such as pork, to make healthier meatballs. Make homemade tomato sauce instead of buying prepared sauce to cut back on the salt and preservatives in your diet. 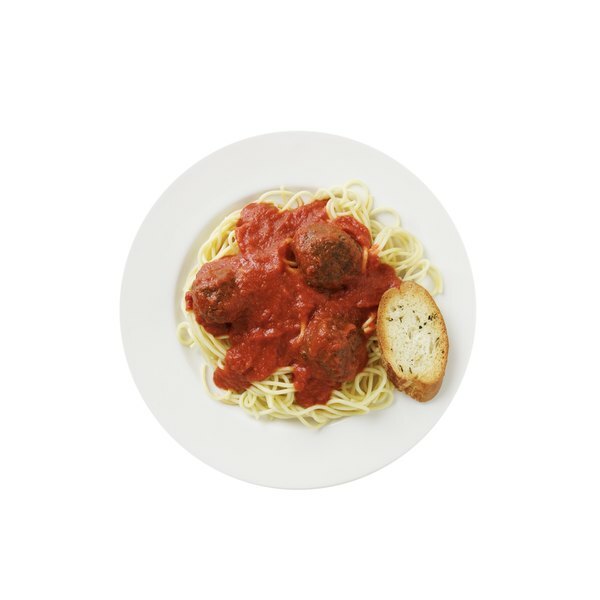 Does Cooking in Sauce Keep Meatballs Pink Inside?